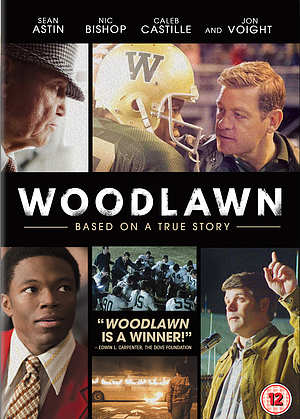 An inspiring true story of faith and courage, Woodlawn tells of a player who must battle racial tensions and pressures to let his belief and talent shine. It's only when Hank (Sean Astin), an outsider who has been radically affected by the message of hope and love he experienced at a Christian revival meeting, convinces Coach Gerelds to let him speak to the team that something truly remarkable begins to happen. More than 40 players, nearly the entire team, black and white, give their lives over to the "better way" Hank tells them is possible through following Jesus, and the change is so profound in them it affects their coach, their school and their community in ways no one could have imagined. Subtitles: English (hard of hearing), Arabic, Bulgarian, Croatian, Czech, Danish, English, Estonian, Finnish, German, Greek, Hebrew, Hungarian, Icelandic, Italian, Latvian, Lithuanian, Norwegian, Polish, Portuguese, Romanian, Russian, Serbian, Slovak, Slovene, Spanish, Swedish, Turkish. Woodlawn was published by Sony in January 2018 and is our 6358th best seller. The ISBN for Woodlawn is 5035822922334. Be the first to review Woodlawn! Got a question? No problem! Just click here to ask us about Woodlawn.